As autumn starts in earnest in the UK, October is a great month to plan a solo holiday and escape the dark nights. Shoulder season prices mean you can still pick up some great sunshine deals across warmer parts of Europe, while this month also marks the start of good weather in some long-haul destinations. Plus there are walking holidays, chances to learn a new skill and a hefty dose of culture on offer this month too in some of the best holidays for singles in October. There’s still plenty of sunshine and warm temperatures to be found in Europe during October, without needing to fly for more than four hours. 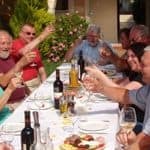 Singles specialist, Travel One, runs a very popular annual Autumn House Party in Mallorca, while Friendship Travel has its own house party style getaways in Greece on the island of Rhodes, exclusively for solo travellers. You’ll get sunshine in Cyprus too along with a string of hotels with no single supplement to choose from. 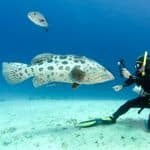 Or consider Malta with its own history and beaches, plus some great diving even into the autumn. If you’re travelling with your children, there’s still beach weather to be found at half term – Single With Kids has trips this month including a week in the Algarve, or head to the Canary Islands with Single Parents on Holiday for a half-term break in Fuerteventura. Or if you’re happy to fly further, there are tropical options too. October is one of the driest months to visit Mauritius before the humidity of the winter, perfect for some Indian Ocean sunshine. And The Maldives may be best known for honeymooners, but you’ll be very happy in your own company at the gorgeous four-star Bandos Island Resort which has no single supplements between 1 May and 31 October if you book with Barefoot Traveller. Towards the end of its rainiest months, St Lucia should still have plenty of sunbathing weather too and often lower prices than other times of year in the Caribbean, not to mention plenty of all-inclusive indulgence at The BodyHoliday with Tropical Sky. With spa treatments and water sports including along with food and other activities, you can be as relaxed or as busy as you choose. You’ll find a great choice of escorted tours to Asia, Europe and South America for solo travellers in October, as well as trips to take you right off the beaten track. 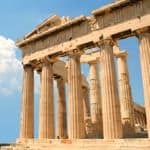 Head to Turkey on one of these small-group tours visiting Istanbul, the historical sites of Troy and Ephesus, the WWI battlefields of Gallipoli and the Byzantine churches of the Göreme Valley. October is one of the best months to visit Vietnam if you’re hoping to see the whole country. 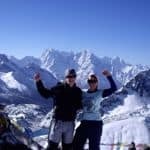 A high proportion of those on small group tours run by Southeast Asia specialists InsideAsia Tours are travelling solo. 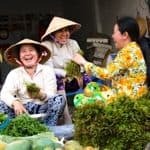 Its Highlights of Vietnam tour is a great introduction to the country, its culture and cuisine, taking in the main cities, and the key sights along the way. In Africa, Solo Travellers Group Tours recommends this safari in Tanzania. And in Egypt you can join a group tour that includes a chance to experience the King Ramses Sun Festival at Abu Simbel with On The Go Tours. Cox & Kings has trips exclusively for solo travellers as well, including the Splendours of South Africa to discover the wildlife and the highlights of Cape Town. With expert guides and no single supplements, it’s a great choice for over-50s. It’s a great time of year to visit Peru. 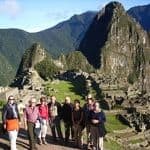 Cox & Kings has a great range of tours for single travellers including a nine-day Treasures of Peru tour (for solo travellers only) that includes Cuzco, the Sacred Valley of the Incas, lunch at a local family home on Lake Titicaca and an overnight stay at Machu Picchu. And in north America, American Sky has a great range of solo holidays in the USA including Autumn Colours, a grand coach tour of New England where you’ll see spectacular displays as autumn leaves. Many of its guests travel solo and there’s a room-share option. You needn’t travel long-haul to find a great tour for singles though. For the over-50s, Saga Travel has a great selection of escorted tours. You could take soak up the stunning mountain scenery of Italy’s Lakes as well as visiting Bardolino, the medieval alpine city of Trento and heading across the border to Switzerland. Many people assume the Northern Lights can only be seen in the darkest months of winter, but they start appearing in the far north as early as September and October, when you can also witness beautiful autumn colours. Check out these Autumn Auroras tours in Finland. If tour groups, however friendly, aren’t for you then how about a solo escorted tour? Barefoot Traveller has created a special 13-night trip of Sri Lanka specifically for solo travellers with your own guide and chauffeur, as you explore the Indian Ocean island. From the ancient sites of Sigiriya and Polonnaruwa to the beaches of Trincomalee and Galle, plus tea plantations and temples, October is one of the best months to find reasonable weather across the whole country, between its two monsoons. While the weather in the UK might not always lend itself to enjoying the great outdoors this month, you needn’t travel far to find a walking break with a better forecast. Check out the walking tours from Solos Holidays, which deals exclusively with solo travellers and charges no single supplements. In October you can enjoy some Mediterranean sun in Crete, Corfu and the Dalmatian Riviera. Look to Spain for some autumn sunshine with Ramblers Walking Holidays, walking in Majorca or the olive groves of Andalucia in southern Spain including some rooms with no single supplement. 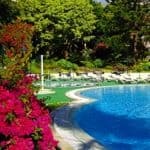 And Explore has some wonderful small group tours in Portugal which always attract a high proportion of solo travellers. In October you could join a week-long cycling holiday from Lisbon to the Algarve via the beautiful Alentejo region, along with the best-selling Highlights of Portugal tour. Or head to Europe’s mountains before the snows set in, to enjoy glorious lakeside scenery with Inghams without a single supplement. 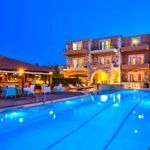 The singles-only Mistral Hotel in Crete has a house party atmosphere and hosts a week for walkers in October. 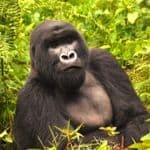 For a hike with a difference, a trip to see mountain gorillas in Rwanda is a big tick off the bucket list. I recommend Rainbow Tours for solo travellers. And there’s no reason you can’t consider a classic safari if you’re travelling solo with these overland tours. Combine the two with a Rwanda to Masai Mara tour or consider a safari and beach option mixing the Serengeti and Zanzibar. If you’re a coffee lover, you could join a small group adventure tour to discover the Origin of Coffee in Ethiopia. Explore the lush jungles of Kaffa with Colobus monkeys swinging overhead. 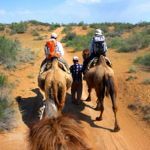 Cyclists are spoiled for choice as well, whether you fancy the deserts of Morocco, a taste of Cuba’s fascinating scenery and culture or a chance to cycle the mountains and coast of Vietnam, on a bike tour from Saddle Skedaddle. For a gentler active break, mix yoga with meditation in Spain or with surfing in Morocco for a chance to tone up and wind down on a retreat from the Healthy Holiday Company. And keen golfers can mix teeing off with chilling out. 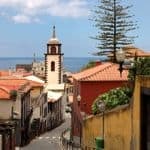 Europe has some great destinations for a golf holidays and these tours are exclusively for singles, with trips to Italy and Spain on offer. Learning a new skill can be a great way to get to know new people, and immerse yourself in a foreign culture. Head to the mountains of Spain, at converted farmhouse Cortijo Romero where the choice of courses also includes personal development and tai chi. It charges only small single supplements. And Skyros promises a house-party atmosphere at its personal development holidays, including the Isle of Wight. 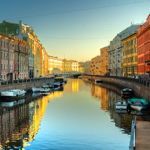 Without the crippling heat of summer, indulge your love of art, architecture, literature and music in one of Europe’s cities. 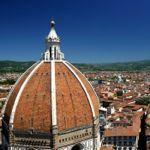 The themed tours from Martin Randall also include UK options almost year-round, but it’s tempting to swap home for the delights of Italy with a chance to discover more about Renaissance art and architecture. The company also has a new singles-only tour to Samarkand and the Silk Road cities of Uzbekistan. See its full range of tours for solos. 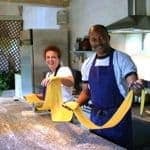 There’s more music and art in Italy from Kirker Holidays too, whether you fancy exploring the great cities of the north, the history of Sicily in the south or the beautiful eternal city of Rome. Or explore another side to Europe with some of its less well-known countries, discovering the history and heritage of Georgia and Armenia with Solo Travellers Group Tours, which specialises in group tours for singles. 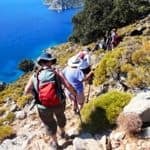 And in Turkey, you could explore the Aegean coastline on a traditional gulet as part of an archaeological holiday, exploring along the ancient Lycian Way. With expert guides to bring the landscape to life, Peter Sommer Travels tours are invariably popular with singles. If you’d rather combine great weather with history and culture, take a classic Nile cruise on a felucca. The King Tutankhamen tour, sailing between Luxor and Aswan, visits timeless sites such as the Valley of the Kings and Karnak with a chance to see the colossal temple at Abu Simbel. If you prefer luxury to tradition, there’s the chance to upgrade to a five-star cruise boat instead. Or hop on board a larger ship with a cruise around the Mediterranean and its historic sites – Norwegian Epic, with its single staterooms and solos-only lounge, visits Barcelona, Rome, Florence and Pisa among other stops, while Fred Olsen has a cruise through the historic cities of the Adriatic.